Habit: Annual herbs or rarely shrubs. Stem: Herbaceous; quadrangular; glandular hairs are present. Calyx: 4 or 5 sepals; fused: tubular of funnel shaped, sometimes two lipped or bilabiate. Corolla: 4 or 5 petals; gamopetalous; forms two lips (bilabiate), upper lip has two notches and lower lips has three notches. Stamens:.4 stamens; didynamous; epipetalous; basifixed. Carpel: Bicarpellary; syncarpous; ovary superior; tetralocula due to formation of false septum; placentation aNile. Fruits: Carcerulus with persistant calyx. Food: Mint is used as salad. Tubers of toe hys are edible. Condiments: Mentpa and Oeimum are used as condiments. used in beverages as tukhmalanga . Medicinal plants: Many drugs of this family give drugs. Peppermint is obtained from Memha piperata. ()chumn kllimandscharicum contain camphor. Perfumes: Many plants contain abundant volatile aromatic oils like thymole, lavender oil and rosemary oil. 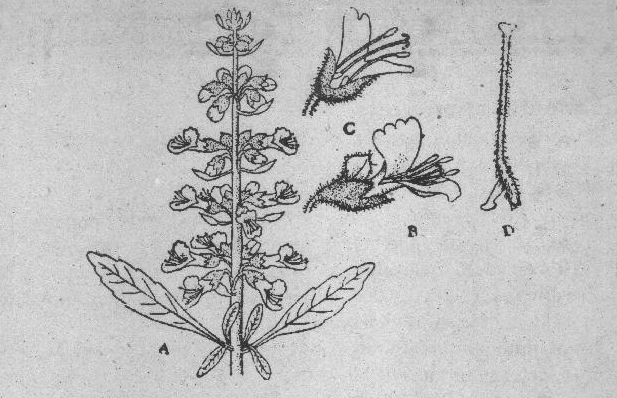 Ornamental plants: Some species of Salvia are cultivated for their beautiful flowers. It is a large family. It has 200 genera and 3000 species. It is distributed all over the world.